Tales of the Trees: Five on Friday! Try Mad Magazine, you'll laugh! Do you remember those vintage Fisher Price Little People? Yes, there are still "Little People" but let's get real there isn't anything "little" about the new people. They are large and round and supposed to be more safe. Well because we like to live life on the edge we let Eli play with the Fisher Price Little People of yonder years. And he LOVES THEM. They are his most favorite toy. we have billions of toys from the years of 2000's and he only wants my little people from the 80's. The dangerous kind. And the above pic is what our Little People look like. Except some of our Little People have the extra touch of chewed heads from some dog during my childhood. Also? I always thought the green guy looked just like my dad. 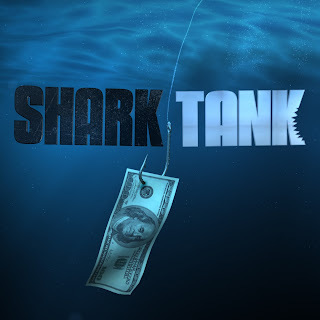 Does anybody watch the show Shark Tank on ABC? It is one of my most favorite shows. All this week the show has aired every night and I can't tell you how excited I get to watch it each night. See also: I'm a loser. I wish I could come up with some awesome concept and go on there. I would totally choose Robert, he's my favorite Shark. Crying. Oh my word the crying. And I'm not talking about Eli here. I'm talking about this pregnant girl's hormones. FOR THE LOVE why can't I stop crying?!?!? I'm typically an emotional person, in fact I've even talked on here before about how I once took medicine to help reign in my emotions, but since about the 5th week of this pregnancy I have cried about everything. One day at dinner I just started crying for no reason! When Luke asked why I was crying I said "I don't know I just feel like I should cry right now". He said it was the weirdest thing he had ever heard. Which I agreed with. I'm hoping this doesn't last the full 40 weeks! I am still SO in love with my new blog design. Sometimes I come to my blog just to look at my pretty new design and beautiful tree that Jessica drew for me. Well this week I found out my blog designer Jessica is having an AMAZING special. And when I say amazing I mean INCREDIBLE. Starting today through the 15th she is offering full blog designs for $30. THIRTY DOLLARS. I'm not sure if you have priced blog designs or not but if you haven't that price is amazing. If you've ever even thought about getting a new blog look I would definitely take advantage of this special and contact Jessica. This week is supposed to bring cooler (in the 80's) temps which makes me SO excited!! Eli and I like to go on a walk everyday and lately we've had to go early in the morning because it is so hot by around 9:00. Excited for cooler temps and the fall weather to start heading this way!! The crying thing is such a pregnancy issue. I hope it fixes itself for you soon:-) My daughter LOVES the little people too both the 80s version and the more current version. I am forever stepping on those people and they HURT~! I'm with you, I cannot wait for fall temps to arrive!! I am over the heat! I love the old style little people. I need to see if my mom still has ours. Yay for cooler temps!! My mom kept our old school little people and my nieces and nephews LOVE playing with them! $30?!!? I may have to see about a new blog design!!!! That's an awesome price! 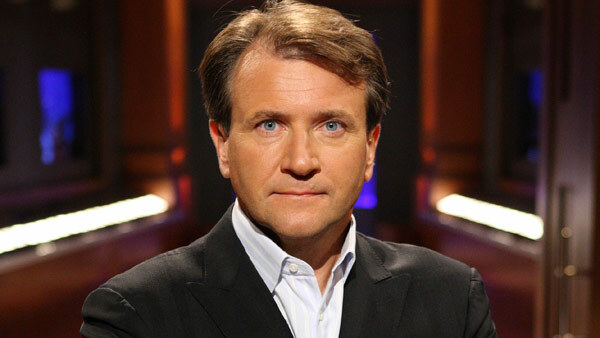 Looove Shark Tank. We've been watching it all week too. And the crying, I had a baby 10 weeks ago and am still crying over everything. That Carter's commrecial on tv...gets me every. single. time. I always thought the green guy looked like my dad, too! Hahaha! Nope. The green guy...MY dad. Lol!! My parents still have our old little people and now my nephew plays with them. Its sad they don't make those anymore. OMG have you seen that Carters commercial? It's on youtube - the "Count on Carters" one. Oh my. I just bawled my eyes out...as my hubby laughed at me. Darn hormones. I think I'd actually still cry at it if I wasn't pregnant though. Have a great weekend! I LOVE Shark Tank! Except sometimes I need to mute the TV because I get nervous when the Sharks go after someone and they are not prepared! Also, I cried so much my second pregnancy. I caught myself crying at the national anthem at a minor league baseball game once-that's totally not me. We have the Little People from the 80s, too. 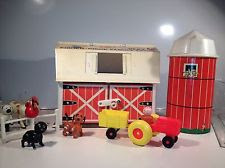 The farm and the dollhouse. My boys LOVE them. And to add to the danger factor, some of ours are painted wooden ones, which means we're adding in the chance of lead poisoning. Yea!